LakeAir is an air purifier brand manufactured by RK Ventures Inc. in Racine WI. they were recently contacted by Anchor Supply Inc to help fulfill a need presented to them by the California Highway Patrol. Lieutenant Antonio Dominguez contacted Anchor Supply of West Sacramento with a request for an evidence room air purifier solution. The need was to purify the air in a room of at least 600 sq ft with media and carbon filtration. A quiet and dependable evidence room air purifier was needed to eliminate odors from marijuana and other fumes. Lieutenant Dominguez added he would like to use a State Contract for this purchase. The CHP serves as one of the main law enforcement agencies and maintains several evidence rooms through out the State of California. This agency has a history of proactively protecting its member’s safety. They have lead the fight to include bullet resistant armor for its officers. In CHP fashion they are now trying to ensure its employees are not exposed to dangers from fumes of marijuana or any other substances that might have to be stored in their evidence rooms. This undertaking is a broad scoped project encompassing more than 50 locations. 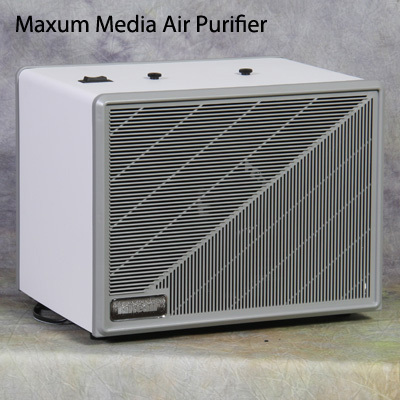 Several conversations between the various parties followed the initial recommendation of the manufacturer ( the LakeAir Maxum Media Air Purifier). Lieutenant Dominguez was concerned if such a compact unit could work in some of his larger material evidence rooms. Mr Bush, knowing the State of California restrictions wanted to be sure that the recommended air purifier be ozone free. Mr Kilton wanted to be sure the air purifier would suit the needs and still be a good economical fit for CHP. These conversations culminated in Anchor Supply arranging for a LakeAir Maxum Media Air Purifier be supplied to Lieutenant Dominguez and the CHP for a no obligation trial. Thanks need to go out to all the fine people and companies involved in this project. Props to the team at Anchor Supply Inc. to work with customer and manufacturer to broker a solution that promotes safety and is economically feasible. Well done California Highway Patrol for having the forethought to take the health of its employees first and foremost. Thanks to RK Ventures Inc. for finding the right product and making it available for a free no obligation trial so this test could be done at no cost to the tax payers of California.